Update 6/11/2018: There are new methods to auto post to your Instagram account. Read to the bottom of our article to learn how to do this for your own profile! You can link your Instagram account to your Twitter or Facebook profiles to automatically posts to the social platforms when you post an Instagram photo. However, automatically posting to an Instagram account is another matter. Instagram does not provide the functionality in its Web or mobile app to schedule automated posts. Moreover, Instagram is specifically designed to support uploads from mobile phones only. This decision was a deliberate one, made by Instagram upper management to keep the platform organic. Instagram was created to display users’ lives on the go and limiting photo uploads to the mobile app helps to achieve this goal. However, you can use a whitelisted third-party service or app to schedule automatic posts to your Instagram account. Instagram strictly prohibits spam on the platform, which is why the company whitelists very few external posting services and third-party apps for automatic posting. If your Instagram account is flagged as posting spam, your account is immediately suspended. Therefore, if you use a whitelisted third-party app or online posting service, remember that you must be very vigilant to observe Instagram’s posting policies and be careful not to overuse auto-posting features. Few, if any, legal third-party apps are available for Instagram because the company does not make the API available to developers. However, this policy may change in the future, according to Instagram officials. 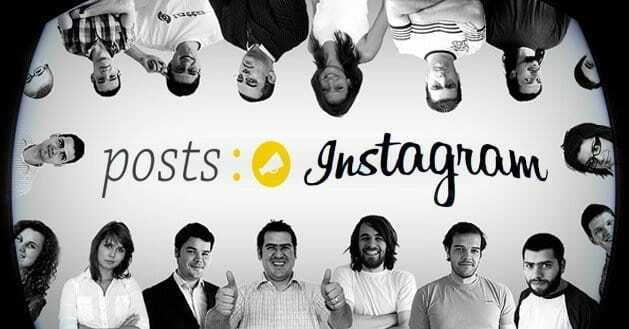 Until then, services like Posts.So offer a viable alternative for marketing professionals and others to auto-post to their Instagram accounts. Create one account on the Posts.So site to auto-post to Instagram, Twitter and Facebook. Posts.So enables you to schedule automatic posts on all three platforms from a single, easy-to-use dashboard. Posts.So offers four levels of account plans. With the Free plan, users can post up to five posts per month. Posts include a “Posts.So” watermark. The Medium level plan is available for $14.95 per month. With this basic plan, users can connect one account per platform. In other words, a Medium level plan holder can connect to one Instagram, one Twitter and one Facebook account through the Posts.So platform. You can publish up to 50 total posts per month with the Medium level plan. The Posts.So Advanced level plan includes the ability to connect up to 10 accounts to the three social networks. For $24.95 per month, users can schedule and auto-publish up to 500 posts per month for up to 10 client accounts. The Team plan, available for $49.95 per month, allows 20 connected accounts and 1000 posts per month. The Team plan also includes the functionality to add and manage up to 10 team members. To try the Posts.So service, create a free account and connect your Posts.So account with Instagram. Open the https://posts.so site in a browser, then click the “Sign Up” icon. The Posts.So pricing page opens. Click the “Start Trial” option under any of the the three paid plans, or scroll to the bottom of the page and click the “Choose Plan” link to select the Free plan. Type your first and last name in the respective fields, then type an email address and password. Click “Sign Up” to create your account. The “Add a Social Account” screen opens. Click the “Add a Social Account” button, then click the “Instagram” icon. The Instagram login screen opens. Type your Instagram username and password, then click “Add.” Note that Instagram may automatically change your password when you create your Posts.So account. Log in to Instagram to create a new password, if required. After you connect your Instagram account, your Posts.So dashboard opens and your list of connected accounts is displayed. Click the “Add Posts” button next to your Instagram username to create your first automated post. Click or tap the “Upload a File” icon, then browse to a photo or video to post. Type an optional comment in the Comment box. Comments are limited to 500 characters. Click the “Posting Time” box to open a calendar. Click the day to publish the post. Click the second drop-down box, then select the time the post will be published. Click the “Save” button. 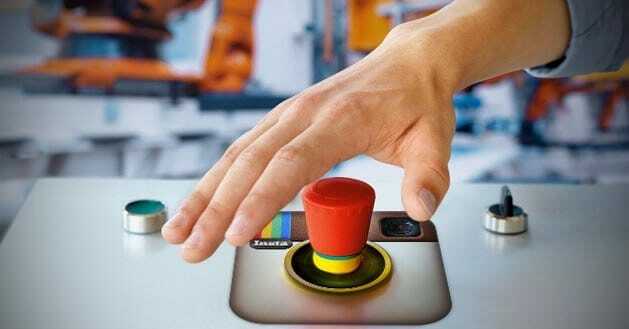 You have just scheduled your first automated post to Instagram. View your Instagram feed after the selected post time to verify your post was published. To add another social networking account, click the “Add a Social Account” button in the dashboard. Click the “Twitter” or “Facebook” icon, then log into the respective platform to connect the selected account. If you subscribe to the Team plan, click the “Team Management” button to create users and assign permissions to team members. To delete an account, just click the red “X” on the right side of the account’s username. Manage your account and edit your profile by clicking the “Menu” button in the upper right corner of the dashboard to display the app menu. Click the drop-down arrow next to your username, then click “Edit Profile” option to open your profile for editing. As of the last quarter of 2013, Posts.So holds the majority of the market share for platforms that schedule automatic posts to Instagram. However, similar services will undoubtedly become available in the near future. As Instagram adds functionality to its own app, and expands the use of the Instagram API for third-party development, additional options for automatic posting will inevitably become available. There are a few recent developments with Instagram in 2018 – the most important being that Instagram has finally decided to start allowing third-party apps schedule content on it’s platform. The most notable are Hootsuite and Buffer; both of these apps are free to use, and can connect to your Instagram profile to schedule posts. While this isn’t exactly the same as automatically posting, it’s the closest you will get. If you need content curated, there are dozens of services that will pull content into your Buffer profile for you, which can then be set to auto post to your Instagram account. Zapier is known to connect to Buffer, and can also draw from RSS feeds. This means if you have some RSS feeds of content that you enjoy, you can tell Zapier to draw from that RSS feed, send it to Buffer, and then have it automatically posted to your account as soon as it finds new content. This is currently the best way to auto post to Instagram. Be careful, though; it’s important to manually review your Buffer queue from time to time to make sure that your images and content are high quality and worthy of posting. If you’re blindly grabbing things to post to Instagram, your engagement will drop, which will hurt you in the long run. Thank you, I’ll have to give this a try! Hi Kenny, Posts.so no longer does Instagram scheduling. JustUnfollow, the popular Instagram and Twitter app, has launched a feature that lets you schedule up to 10 posts for free everyday to your Instagram account. hey, JustUnfollow only for scheduling? or it will auto post? It’s just for scheduling. It does not post for you. It would seem. Yup, JustUnfollow is completely awesome app. When I used it more, it grew on me. By the way, I’ve found out an incredible combination of apps for making money: Hootsuite, Zengram, which boosts real followers, any photo editing apps.